WATER METER SQUARE SALT-PEPPER SHAKER SIZE : 3.50'' X 1.75'' X 3.50'' .. 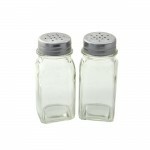 STAINLESS STEEL CHEESE SHAKER 2.75''DIA X3.50''H .. 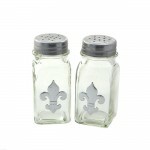 STAINLESS STEEL CHEESE SHAKER W/FDL 2.75''DIA X3.50''H .. 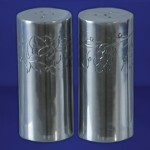 STAINLESS STEEL SHAKER (CHEESE OR PEPPER) 2.75''DIA X 3.50''H .. 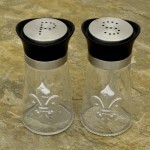 STAINLESS STEEL SHAKER (CHEESE OR PEPPER) W/FDL 2.75'' DIA X3.50''H ..
CLEAR SALT & PEPPER GLASS SET ..
CLEAR SALT & PEPPER GLASS SET W/ FDL ..
SALT-PEPPER HAMMERED STAND SQUARE ..
SALT-PEPPER SQUARE FDL HAMMERED STAND .. 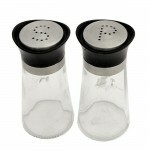 ROUND HAMMERED DESIGN SALT N PEPPER BOTTLE HOLDER SIZE: 5.50''X5''X2.50'' ..
SALT-PEPPER FDL HAMMERED OVAL STAND ..
SALT & PEPPER GLASS SET W/ BLACK LID ..
SALT & PEPPER GLASS SET W/ BLACK LID & FDL ..
4 PCS. 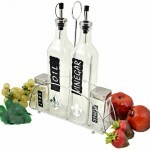 OIL-VINEGAR & SALT-PEPPER SET W/STAND .. 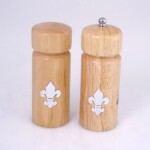 WOODEN SALT PEPPER SHAKER W/FDL .. 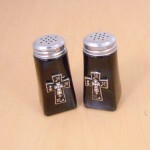 EGG SHAPE SALT PEPPER SHAKER STAINLESS STEEL W/FDL ..
AMBER SQUARE SALT-PEPPER W / CROSS ..
AMBER SQUARE SALT-PEPPER W/CRYSTAL FDL ..
AMBER SQUARE SALT-PEPPER W/SILVER FDL ..
BLACK SQUARE SALT-PEPPER W / CROSS ..
BLACK SQUARE SALT-PEPPER W/CRYSTAL FDL ..
BLACK SQUARE SALT-PEPPER W/SILVER FDL ..
BLUE SQUARE SALT-PEPPER W/SILVER FDL ..
PURPLE SQUARE SALT-PEPPER W/SILVER FDL ..
RED SQUARE SALT-PEPPER W / CROSS ..
RED SQUARE SALT-PEPPER W/CRYSTAL FDL ..
RED SQUARE SALT-PEPPER W/SILVER FDL ..
Copper Fleur De Lis / BLue Salt Pepper Shaker / Set of 2 with Copper Top. 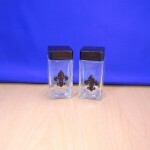 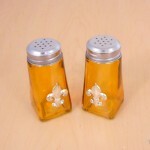 ..
Copper Fleur De Lis / Clear Salt Pepper Shaker / Set of 2 with Copper Top. 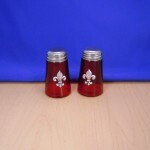 ..
Copper Fleur De Lis / Red Salt Pepper Shaker / Set of 2 with Copper Top. 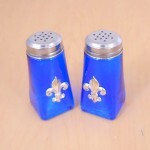 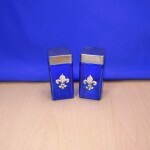 ..
Silver Fleur De Lis / Blue Salt Pepper Shaker / Set of 2 with Silver Top. 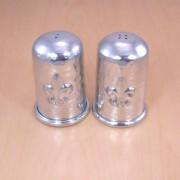 ..
2PC. 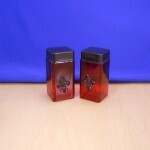 SALT-PEPPER SHAKER AMBER(COPPER) ..
2PC. 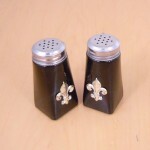 SALT-PEPPER SHAKER BLACK(COPPER) ..
2PC. 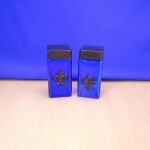 SALT-PEPPER SHAKER BLUE(COPPER) ..
2PC. 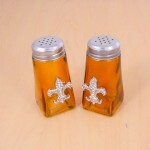 SALT-PEPPER SHAKER CLEAR(COPPER) ..
2PC. SALT-PEPPER SHAKER RED(COPPER) ..
2PC. 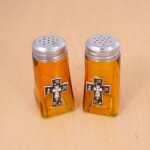 SALT-PEPPER SHAKER AMBER(SILVER) ..
2PC. 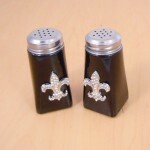 SALT-PEPPER SHAKER BLACK(SILVER) ..
2PC. 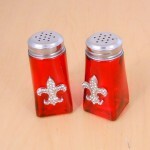 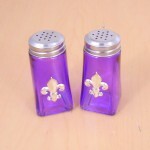 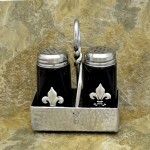 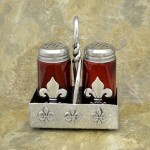 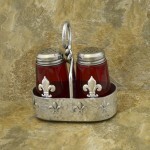 SALT-PEPPER SHAKER RED(SILVER) ..
SALT-PEPPER SHAKET W/FLEUR DE LIS DESIGN. 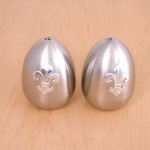 Qty Price ..